Summertime is all about barbecues, dinner parties, and light and fresh meals. 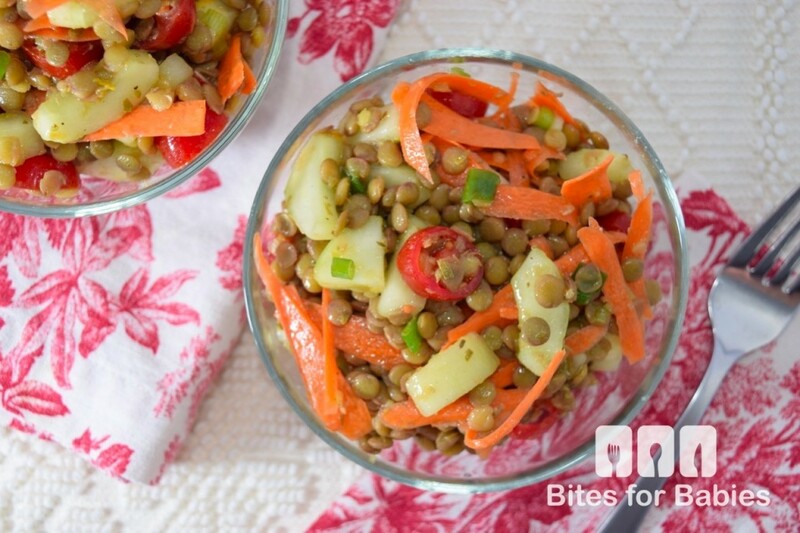 This fresh lentil salad is a perfect make-ahead meal for a crowd, and also a unique variation of traditional salad. 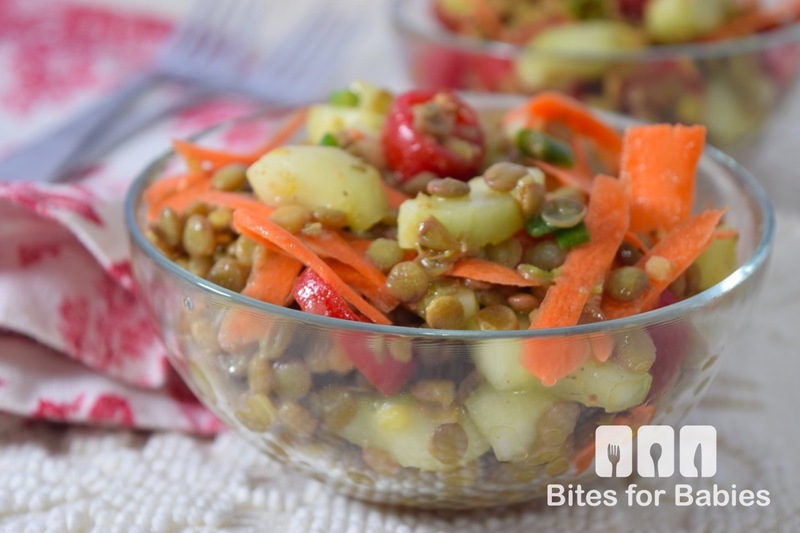 With a protein-rich lentil base, this salad is heartier and more satiating than lettuce-based salads, but still has the flavours that we all love in a fresh salad-sweet cherry tomatoes, crunchy cucumbers, sweet red bell peppers, carrots, all tossed in a refreshing olive oil and lemon vinaigrette. I love lentils. In fact, I love all legumes. It’s a good thing I have such an appreciation for them because ever since I became vegetarian, they are practically all I eat. Why do I love lentils so much? Secondly, they are a blank canvas, in terms of condiment options. Just like rice, this tiny legume soaks up flavours like it’s nobody’s business, lending a rich punch of flavour to any dish. The most important tip I can give in terms of preparation is to ensure that the lentils are cooked al dente-meaning they should still have a little bite to them. No one wants a mushy lentil salad, do they? This recipe lends well to interpretation so if by chance you’re not a fan of lentils, you can substitute them with navy beans, chickpeas or another legume. Use your imagination and add a combination of your favourite ingredients, such as arugula, kale, spinach, avocado, celery, and fresh herbs such as parsley, basil or cilantro. 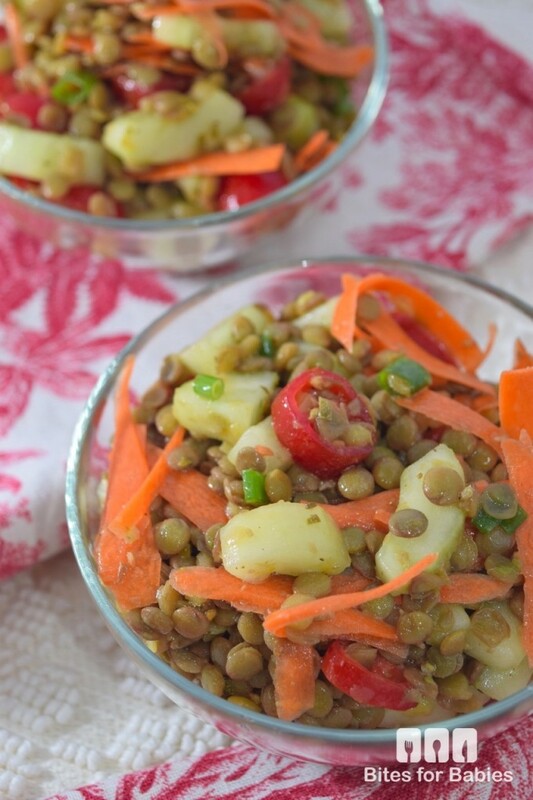 This fresh lentil salad makes a great dinner party salad since it appeals to vegans and non-vegans. Just prepare a large batch ahead of time then separate into two portions, throwing in some extras for the non-vegans, such as tuna, mozzarella, or feta cheese. On a side note, if preparing a large batch for the week, I recommend adding the tomatoes and cucumbers right before serving. They tend to release water the longer they sit and this result in a somewhat soggy salad. Bring lightly salted water to a boil in a large pot. Add the lentils and cook for 25-20 minutes or until al dente. The lentils should be soft on the outside with a slight bite on the outside. Drain the lentils in a large colander then set aside to cool. In the meantime, chop the cucumbers, carrots, scallions, capers, and tomatoes. Combine all the ingredients in a large bowl then add the olive oil and lemon juice. Adjust seasoning before serving, if desired. Store in the fridge in an airtight container for up to 5 days (minus the tomatoes and cucumbers). This looks really healthy and yummy! Great Salad choice! I think I haven’t tried lentil before. This looks yummy though. This looks very tasty and flavorful. I can’t remember the last time I had lentils, though. I have never really had lentils or chickpeas! It’s an entirely new dish for me. Looks like a good blend of flavor. Interesting! I’ve heard of lentil soup, but not salad. I’m going to have to make some some night or maybe for lunch. That might be real good. Thanks for sharing and I’m going to pin it. Thanks. I love lentil soup! I hope you do make it! You might want to try some of my other lentil recipes from the Blog! This looks amazing and healthy. I’m adding this to my menu this weekend! This looks soooo tasty! I am definitely going to be whipping up a big batch of this. This is perfect for a post workout meal! First time I’ve seen a lentil salad. It is! Actually, I have it quite often after the gym! I’ve never tried lentils but this looks great. Will definitely have to give it a try. Thanks! Gimmee some lentils! My family isn’t big on eating them so I will be making this for my lunch. I like lentils and enjoy a good salad but have never had a lentil salad. It looks delicious! I need to try it. It’s worth a try!! It’s my new fave!! I’ve only tried lentils in a few different dishes for my son and this looks like a good way to try it in another way. Thanks for the recipe! I love me a good salad but I’ve never tried a salad with lentils. It looks so good especially that it has cucumber and tomatoes in it. Yum! I have never tried eating or making a salad like this one before which has a lot of healthy foods in it. This looks and sounds so good and I will have to try this recipe. Thanks so much for sharing. This Looks really good! I would have never thought of this! Yummy! Yummy! This looks so good 🙂 I love lentils but have never really made it into a salad before. It’s my new favourite way to prepare them! This is simple enough for me to do. It’s also a really healthy meal too and looks delicious. Me too…and I make those recipes quite often, especially during the winter months. This is perfect for the summer!! What a yummy looking salad! I really like that it’s so colorful and different from traditional salads. Oh I think my youngest would love this! She is only one of my kids that will eat lentils. My youngest is weaning at the moment and I think he would love to try this, he is into everything at the moment so I am not wasting my chance to have him try as much as possible! It is a great time to offer it to him! Great idea! 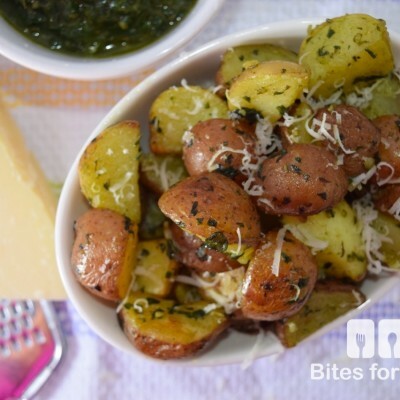 You don’t have to be vegan to enjoy this…it would be a great side dish too! I love learning new vegan recipes. I will have to try this on the weekend. I hope you do…and I hope you love it as much as we do! I love a good veggie salad, and I love legumes of all types! 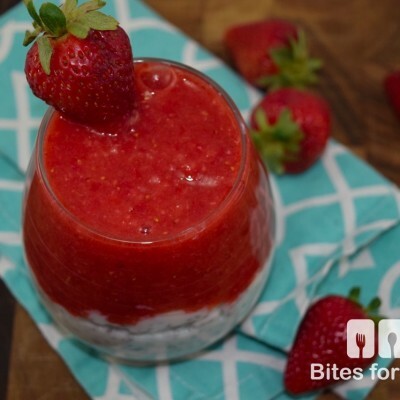 This recipe looks so tasty and healthy! I will have to try it! I could really do with a good healthy salad now! I was never a big salad eater but this pregnancy changed me. I’m eating things I hated before. Isn’t that funny?! I ate pretty much the same when I was pregnant! I really love the look of this, I’d love to have this for dinner. I love your food styling, makes it look so appetizing. I’ve never had anything like this, but it looks delicious! I really need to try this out! Thanks for sharing! I’ve been on the lookout for new vegan options and this looks delicious. I’m not a fan of cucumbers but everything else I could totally devour! You should add some of the other options in there! Mmm! I wouldn’t have thought to cool lentils off and make a salad out of them. SO healthy too. Either had I until I decided to make this recipe! I have never had lentils before! This looks really great! I wonder if my kiddos would try this! I hope so! I hope you try it! You might want to check out all the other lentil recipes on my Blog too! I love how this recipe is a good source of protein. This is something that I could easily do at home and it would also be the perfect lunch for me because it’s healthy and packed with protein. It is! It is very light and healthy but also filling. The second time I made this, I added avocado and tuna for some additional omega 3’s! My husband would love this! I’m not that big of a fan of lentils, but he adores them. Maybe I will fix this for him. You could always mix all the veggies together with the vinaigrette then add the lentils to his portion only! I’d love to make this! This would actually make a really nice lunch for me. I love vegetables. I’ll have to give this a try. I’m not a huge fan of lentils and my husband is. I really want to like them so I’ll keep looking for a recipe that I do enjoy. I really do think it all depends on the condiment you use and/or the cooking method. I hope this recipe changes your mind about them! You have the best recipes! What a great recipe idea and super easy. Thanks so much! Wow, this looks very healthy and tasty. I have only cooked lentils once, during the Easter. I might give it a try again and make your recipe. Since I started following a mainly vegetarian diet I’ve begun incorporating them into my recipe rotation…I eat them at least 3x a week! I could see my 16 month old stuffing his face with this! he LOVED lentils! Mine went through a phase too where he would eat them all the time, then of course, he got turned off of them! He’s four and just starting to like them again! We are big lentil fans over. Lentils are one thing that we can all agree on in this house 🙂 I will have to try this recipe, thanks! My grandmother is obsessed with lentils, I’m going share this recipe with her. This salad looks amazing! 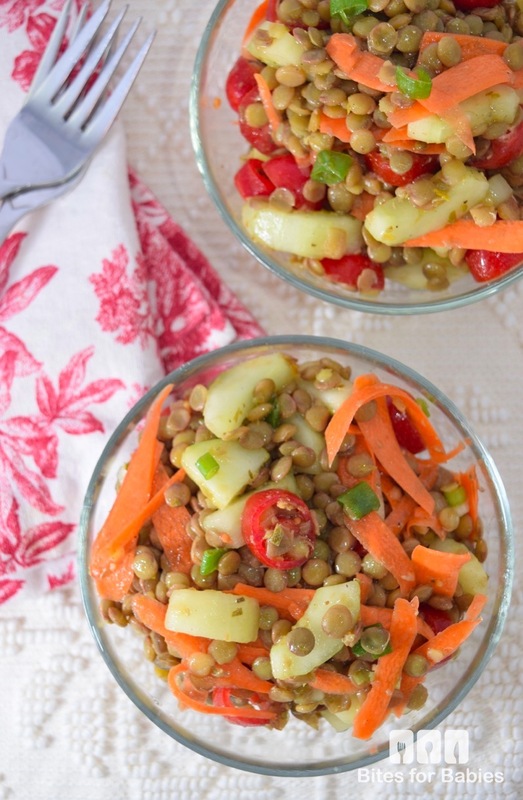 I love lentil salads so I’m going to have to try this soon! Thanks for showing it to me! I do too but have never made them in a ‘cold’ salad until now! Thank you! Next dinner party menu item?! lol!